Religious TV Channel / Cebu Catholic Television Network (CCTN) is a broadcast television channel owned by the Roman Catholic Archdiocese of Cebu and Fil-Products Group of Companies in the Philippines. The station's studios are located at the CCTN Broadcast Center, Cardinal Rosales Avenue, Cebu Business Park, Cebu City. 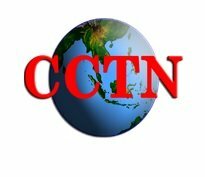 CCTN 47 now operates 24/7 for cable operators and through online webcast, and 18 to 19 hours on free-to-air UHF TV.